Criminal defense — Attorney Andrew Lambert has decades of experience defending individuals in high-profile cases involving the most serious felony charges. He has been repeatedly featured in the media, including on Dateline and Forensic Files, and he is the former president of the Alaska Association of Criminal Defense Lawyers. Attorney Randall Cavanaugh is also a highly respected trial and appellate lawyer. He is well-known for his experience with post-conviction DNA testing, and he was named "Criminal Defense Attorney Of The Year" in 2009. Workers' compensation — Attorney Joseph Kalamarides has more than four decades of experience advocating for injured workers across Alaska. He is a sought-after speaker on these topics and served as a member of the Governor’s Task Force on Workers’ Compensation. He was honored with inclusion in Alaska Super Lawyers in 2013. Family law — Mr. Lambert's keen trial skill is a particular asset for family law clients facing child custody disputes, contested divorces or allegations of domestic violence. In addition, Mr. Cavanaugh has represented clients in countless Child in Need of Aid (CINA) cases and appeals. 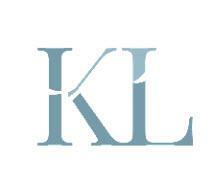 Call the law firm of Kalamarides & Lambert today to discuss your legal concerns. The first consultation is free in criminal law and workers' compensation cases.